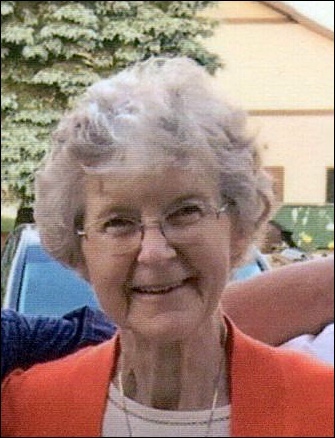 Wanda L. Cooke, age 79, of Ada, went to be with Jesus her Savior on Friday, November 23, 2018. She was preceded in death by both of her siblings, Art Sinkey and Nelma DeBauche. A dear wife, mother, and grandmother, Wanda will be lovingly remembered by her husband of 52 years, Mel Cooke; her children, Ken Cooke, Paul (Marcia) Cooke, Karen (Tom) White, Jason (Sara) Cooke; her grandchildren, Nathan, Trenton, and Jack Cooke; Lindsey (Jason) Scheerhorn, Emily, and Bradley Cooke; Madeline, Ethan, Anna, and Brady Cooke; her brothers-in-law and sisters-in-law, Clarence (Barb) Cooke, Roger (Sue) Cooke, John (Angela) Cooke, Rose Cooke; as well as several other relatives and friends. Visitation will be held on Thursday, November 29, from 2 - 4 and 6 - 8 pm at Stroo Funeral Home. The funeral service will be held at 11 am on Friday, November 30, at Dutton United Reformed Church, 6950 Hanna Lake Ave. SE, with Rev. Talman Wagenmaker officiating. Interment will be in Cascade Cemetery. Memorial contributions may be made to Grand Rapids Right to Life.